Blood has long been used as an aid to diagnosis but now more than ever it can be key to establishing the cause of disease. From glass bottles to complex plastic systems, the storage of blood has evolved and so too have the processes used to analyse the small blood sample given at your GP’s surgery. This lecture relates to series from the Royal College of Pathologists: A History of Pathology in 50 Objects. 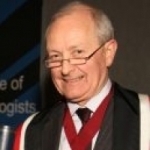 Dr Archie Prentice has been President of the Royal College of Pathologists since November 2011. He is also a consultant haematologist at the Royal Free Hospital and honourary Senior Lecturer at University College, London. Dr Prentice was also the founder and first Director of the South-West Regional Cancer Organisation, which was one of the NHS bodies to provide the early evidence behind the Calman-Hine proposals for the reform of cancer care, including the greater influence of pathologists through multidisciplinary teams. Dr Deepti Radia is a consultant haematologist at Guy&apos;s and St Thomas&apos; Hospital. Dr Radia is the lead clinician for the chronic myeloid leuakaemia and systemic mastocytosis services. She is actively involved in postgraduate medical training and is training programme director for the Guy&apos;s and St Thomas&apos; rotation, Chair of the London Specialist Training Committee and the National Specialist Advisory Committee in Haematology. 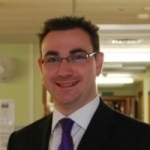 Dr Joel Newman is a Specialist Registrar in Haematology at the East Sussex Healthcare NHS Trust. He is Editor of the Haem Trainee magazine. He is also a Council Member of the Pathology Section at the Royal Society of Medicine and a major contributor for &apos;100 Cases for Medical Data Interpretation&apos; (Hodder Arnold). Furthermore, he is an Associate Editor with the Journal of Medical Case Reports. 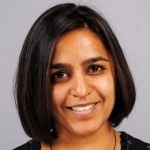 I am Deepti Radia and am a haematology consultant at Guys and St Thomas’ Hospital. I want to thank you for providing me this wonderful opportunity to share the podium with Drs Prentice and Newman presenting part 2 of 3 on the story of your blood. This lecture is one of a series of lectures based on The History of Pathology in 50 Objects – which is part of the celebration of 50 years of the College. Dr Prentice has eloquently discussed the historic timelines. I would like to spend the next 10-15 minutes taking about 3 objects over time that have made an invaluable contribution to put Pathology and diagnosis of disease on the map. As a haematologist – I hope you will forgive my bias but I do need to state that the same objects and their applications are relevant to other pathology specialities – histopathology, chemical pathology, microbiology and infectious diseases as well as immunology. I would like to talk about the microscope, the coulter counter and the glass slide. The history of who should take credit for inventing the optical light microscope is disputed – like many inventions with many parts, no doubt many people contributed in the final product. • 2nd Century BC - Claudius Ptolemy described a stick appearing to bend in a pool of water, and accurately recorded the angles to within half a degree. • 1st Century - Romans were experimenting with glass and found objects appeared larger when viewed through this new material. • 12th Century - Salvino D&apos;Armate from Italy made the first eye glass, providing the wearer with an element of magnification to one eye. • 1590 - Two Dutch spectacle makers, Zacharias Jansen and his father Hans started experimenting by mounting two lenses in a tube, the first compound microscope. • 1609 - Galileo Galilei develops a compound microscope with a convex and a concave lens. • 1665 - Robert Hooke&apos;s book called Micrographia officially documented a wide range of observations through the microscope. 1674 - Anton van Leeuwenhoek used his knowledge of grinding lenses to achieve greater magnification which he utilised to make a microscope, enabling detailed observations to be made of bacteria. 1826 - Joseph Jackson Lister created an achromatic lens to eradicating the chromatic effect caused by different wavelengths of light. 1860s - Ernst Abbe discovers the Abbe sine condition (a condition that must be fulfilled by a lens or other optical system in order for it to produce sharp images), a breakthrough in microscope design, which was until then largely based on trial and error. 1931 - Ernst Ruska starts to build the first electron microscope. Many people , many changes in science and medicine all with a view to understand pathology and disease processes at cellular level. Today’s binocular light microscopes would be completely unrecognisable to our ancestors. These are just a few examples of microscopes routinely used in pathology labs in the UK - with digital camera facilities, direct access to PCs, work stations and mobile monitors for easy viewing. The virtual scanner is now a reality and the technological advances have made it possible to scan a blood film or in the case a skin biopsy into a virtual scanner and the specimen can be viewed on a PC monitor as you would see it under a microscope. You can store the slides in a web based host site and access could be anywhere in the world. Once scanned these slides can be permanently hosted/stored. The practice of virtual scanning and reporting is in place in clinical practice in the UK – the NEQAS scheme – our quality assurance scheme for blood films uses this system. It means no glass slides and accessibility anywhere, anytime. It allows for mobility of work flow, workforce and is a tremendous resource for education/learning and multi disciplinary meetings to discuss complex cases. Here is a brief visualisation of a virtual blood film. So the light microscope has been pivotal in providing us insight at cellular level. What about your blood and what we see/do as haematologists? As you can see – taking blood samples has not dramatically changed – we still use the same veins to bleed patients – the ivory syringe and glass bottle with it’s individual wooden box no longer exits but we now have vacutainers and a host of blood bottles which different media for the range of blood tests possible in the hospital repertoire for diagnosing illnesses. For all pathologists the glass slide is a mainstay – our samples – be they tissue – such as skin, gut biopsies or in my case blood films or bone marrow aspirates are spread or placed and then viewed under the microscope. The full blood count is the most common test carried out and a tiny drop of blood is used to make a blood film/blood smear as shown. The film is then stained or fixed with special stains (solutions of Romanowsky dyes) which will bring out the specific features in the cells in the blood. This was done manually and we now have automated machines. These can then be examined by direct microscopy and the morphology of these cells in combination with the clinical symptoms/history will help make a diagnosis. Joel will discuss this in more detail next. Needless to say – blood is an active ‘organ’ in it’s own right and if the eyes are the windows to the soul –I think that the blood is the window to your well being. The FBC is the most commonly requested blood test and the differential – or components of the test can tell us if you are anaemic for instance – very common complaint but we need to look further to find the underlying causes – so will look at the blood film, other tests in conjunction with the clinical picture. The purple topped tube is usually the FBC tube and when spun down – the components are divided as shown above – plasma, white cells, red cells and platelets. The white cells are further divided into 5 categories. These cells have been indentified morphologically by their shape/size, shape of their nuclei and classified. These cells change with illness. Wallace H. Coulter (February 17, 1913 – August 7, 1998) was an American electrical engineer, inventor and businessman. The best known of his 85 patents is the Coulter principle, which provides a method for counting and sizing microscopic particles suspended in fluid. His invention of the Coulter Counter made possible today’s most common medical diagnostic test: the complete blood count (CBC). The Coulter principle is used in quality control of consumer products, such as chocolate and beer, paint and toners, and was even used to analyze moon dust. Recognized as one of the most influential inventors of the twentieth century, Wallace Coulter studied electronics as a student at Georgia Tech in the early 1930s. Mr. Coulter developed the "Coulter Principle", a theory that gave birth to both the automated haematology industry and the field of industrial fine particle counting. His "Coulter Counter," a blood cell analyzer, is used to perform one of medicine&apos;s most often-requested and informative diagnostic tests, the complete blood count or the more familiar UK Full Blood count (FBC). • Within our lab at Guys and St Thomas’s we process almost 2000 FBC samples daily. Up to 5% of these (100) are made into blood films/smears that need microscopic analysis. • The automated machines provide a differential and indices that are calculated which enable recognition of certain illness patterns. • Some newer models are now programmed to produce an automated blood film report as well. • Without Wallace Coulter’s revolutionary automated cell counter - I cannot imagine what it was like to function and turnaround the FBC result. • It takes 2 minutes from putting the sample into the machine to producing the result. So the three objects I have discussed are those I consider have been instrumental in the development of Pathology as a Science and discipline. The advances in diagnostics move on leaps and bounds with IT and the world is becoming a smaller place in a good way. Now if I need to discuss a rare, unusual case with a colleague elsewhere either in the UK or worldwide – we can use a virtual scanner , have a video linked meeting and face-to-face discussion to help our patients. Behind every illness/patient and blood sample there is a pathologist helping make the diagnosis. Ensuring we are making progress and pushing boundaries to understand disease processes to make a difference – an ethos that has been the link across the centuries. Blood samples are obtained in a number of different scenarios, such as general practice (GP), district nurses, high street pharmacies, hospital outpatients departments or inpatient wards, and emergency departments. Our first hypothetical patient is James, and he was referred by his GP to the Medical Assessment Unit with tiredness and shortness of breath. This is a blood film (smear) made from James’ blood sample. It shows numerous white blood cells (those that are coloured light blue and purple), including immature cells that should not normally be found in the blood. This is consistent with chronic myeloid leukaemia (CML). Chromosomes are packages containing all the cell’s DNA. It is densely packaged around scaffolding proteins. In chronic myeloid leukaemia, the chromosomes in the abnormal cells demonstrate a swapping of information between chromosomes 9 and 22 – termed the Philadelphia chromosome after the city in which it was discovered. Glivec (imatinib) was the first drug developed that directly targets the abnormality in CML, and has revolutionised its treatment. Our second hypothetical patient, Olive, was reviewed at her GP surgery as part of her annual medication review. She was feeling generally well, but her blood results were abnormal. After being referred to the outpatients department, extra blood tests were requested to further investigate the cause of Olive’s raised white cell count. This is a blood film (smear) from Olive’s blood sample showing the high number of white cells, but this time most of them are small or medium sized round cells, typical of lymphocytes, along with smear/smudge cells. This is typical of chronic lymphocytic leukaemia (CLL). These are results of a flow cytometry investigation where fluorescent tags are attached to different cell surface markers and passed through a laser beam to count the number of cells expressing the markers in question. The abnormal population here is expressing the signature markers compatible with a diagnosis of Chronic Lymphocytic Leukaemia (CLL). Olive came to the Outpatients Department, and her diagnosis of Chronic Lymphocytic Leukaemia was already available. The next patient seen in the Department was Eleanor, our next hypothetical patient, who had recently been diagnosed with a deep vein thrombosis (DVT). The right leg here is clearly larger and redder than the left, consistent with DVT. Our final patient, Luke, went to A&E with rapidly worsening shortness of breath, and blood tests showing significant anaemia. This is a blood film (smear) from Luke’s blood sample showing bite cells – red blood cells with bits taken out, hemi-ghosts, and polychromatic cells (blueish coloured), consistent with non-haemolytic anaemias such as G6PD deficiency (Glucose-6-Phosphate Dehydrogenase Deficiency).